567LF-PP is rated 4.7 out of 5 by 67. Rated 5 out of 5 by Vickie from Great product, I recommend this! Modern, slick looking, easy to use and install. Just 1 minor issue, it shows water stain. Otherwise, it's a great product! Rated 4 out of 5 by David from short hoses I think the hoses should be a standard 20". Rated 5 out of 5 by ML3084 from Very heavy and sturdy I was very pleased when I lifted this out of the box. It feels great. Haven't installed yet but love the look and feel. Rated 4 out of 5 by cshurtz from Overall I'm happy with the product I bought these a year ago and put them in a modern house. They look good and are well made. They dirty looking and have to be wiped down regularly to keep them looking tip top. Overall, I would recommend though. Rated 3 out of 5 by Bathman1 from Good quality construction, design makes cleaning a challenge I purchased two of these in brushed stainless for a master bath remodel. I also purchased the matching shower controls. 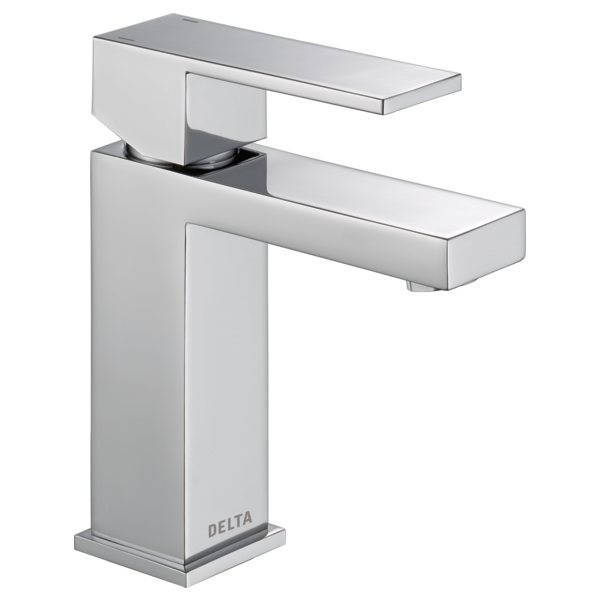 The quality of the faucets are very high, however the flat design makes keeping them clean a real chore. The flat top design makes the faucet a collection point for little hairs and toothpaste splatters. Keeping these faucets clean and shiney became a chore and ultimately I purchased different style faucets to take their place. The shower controls are great and I continue to use them today. Is there a replacement DST cartridge available for the 567LF PP Faucet? Do you have fixtures in this line, or similar line, that would go with roman tub? How about shower fixtures? Thanks! Can these water lines be extended if I need longer? 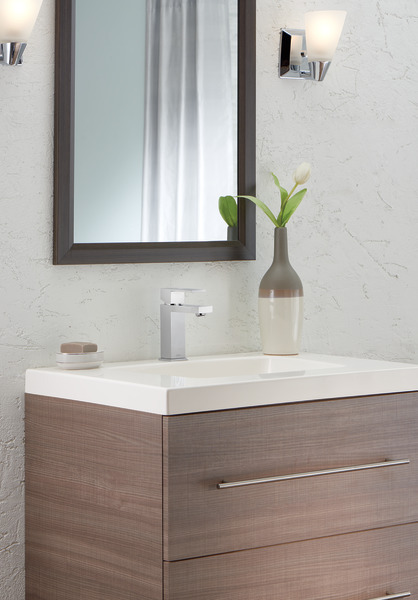 I love the modern single handle faucet 567LF PP. I would also need the shower and roman tub filler to match and can't find it. Help! What are the aerator thread specs? What are the thread specs for the aerator? For example, is it a 15/16&quot; x 27 Male Thread? Hi, is this faucet for hot and cold water ? Thank you for your answer. what shower valve goes with this?